passion. Finally, a chance to belong and show the world what she’s made of. choose between living a fairy tale and honoring the Sisterhood… and herself. Stay tuned for details about book two in the Cinderella Society series, coming Spring 2011 from Egmont USA! illage. They must travel together to stop a religious war that threatens to destroy not only their world, but their budding relationship as well. Cover art by Philippe Petit-Roulet. 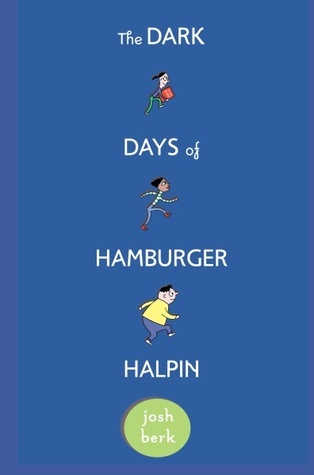 THE DARK DAYS OF HAMBURGER HALPIN tells the hilarious story of Will Halpin, an overweight deaf teen who spends his first year at a mainstream high school looking for love, failing Algebra, unraveling the school's social scene, trying to get invited to the greatest party ever … and, oh yeah, solving a murder. "Those who prefer their heroes to be not-so-usual and with a side of wiseguy will gobble up this witty, geeks-rule debut." The story about how he came to write this book can be found on my his page.